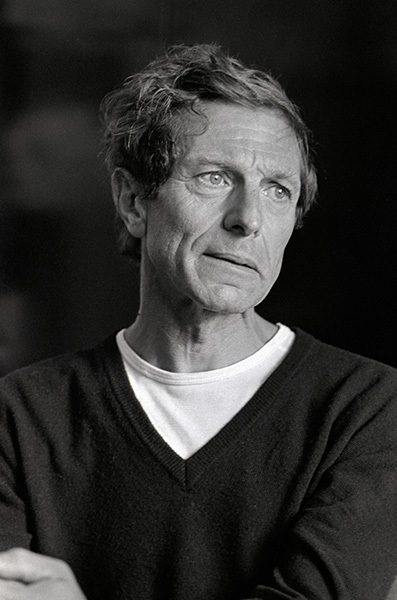 David Goldblatt passed away of cancer on June 25, 2018. I only ever met him in person once. He was presenting at the Photo Encounters Festival at the Market Photo Workshop in Johannesburg in the early 2000s. I happened to be there, invited by Peter McKenzie who had a hand in organising the event. As Founder of the Market Photo Workshop in 1989, David presented some of his work on one evening of the festival. He spoke about dying of cancer during his talk. He had been working on a project that documented blue asbestos mining in the Northern Cape and its impact on the environment. Blue asbestos is lethal. If breathed in, tiny shards become lodged in the mesothelium, the lining of the lungs, and can lead to an aggressive cancer known as mesothelioma. When asked if he wore a face mask while working on the project he said something along the lines of “No, mesothelioma takes 20-50 years to develop and I will be long gone before it does.” Born in November 1930, David was in his mid-70s at the time. He was correct. He passed away just over a decade later at 87 years of age. While I only met him in person that once, we had an ongoing dialogue over the years. After Africa Media Online built the first online digital archive for South Photographs we came to represent his stock images primarily portraits of famous people. As part of our African Image Pipeline project funded by the European Union through the KZN Department of Economic Development in 2008 we digitised 577 of his images. He believed in what we were doing and would often refer other photographers to us to represent their images including the Paul Alberts collection and Margaret Courtney-Clarke. He was a private person who did not like the limelight. I asked him on several occasions to come and present his work at events like DocuFest Africa, but he always turned me down in a gracious way saying he does not do that sort of thing. In viewing David’s work during the presentation he gave at Photo Encounters, I was struck by how many of his images were taken in the harsh light of mid-day. I asked him about this. As a journalist and photographer capturing images for outdoor adventure and travel magazines where the glamorous light of early mornings and late afternoons is preferred, I found this fascinating. His response was equally fascinating: “I like South African light just as it is,” he said. David never seemed to follow the crowd. He seemed quietly committed to thorough and independent observation of the social fabric of South African society. And his images were a piercing commentary on the dysfunction and the mundanity of life in South Africa under apartheid. “Five Photographers: A tribute to David Goldblatt” was an exhibition of the work of four young photographers admired by David Goldblatt. 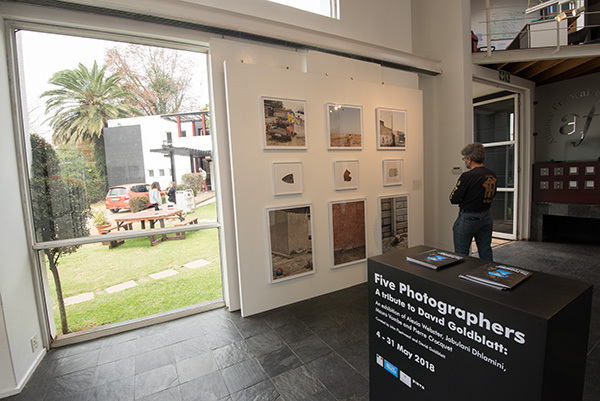 The exhibition that was curated by John Fleetwood with assistance from David, was on show at the French Institute in Johannesburg during the month of May 2018. This independence of perspective is certainly reflected in the fine balance and nuanced commentary found in his photography. His was not the photography of a campaign, rather it was that of biting critique that quietly brought his audience face to face with the merciless nature of a deeply dysfunctional political system. It was the subversive nature of his critique that was disquieting – one got to see the dysfunction in the midst of everyday life, not just at moments of conflict. Listening to David just that one time change my own perspective on documentary photography and its role in society. Great documentary photography helps us to see, to really see the socio-political structures that most of us take for granted as the unchangeable nature of things. He was able to make us see them and their devastating outcome in the lives of our people – the true cost of a false ideology. And that gift won him acclaim all over the World. He was the first South African photographer to have a solo exhibition at the Museum of Modern Art in New York, in 1998. He won the Hasselblad award in 2006, the Henri Cartier-Bresson Award in 2009, and the ICP Infinity Award in 2013 and he was awarded the Commandeur des Arts et des Lettres by the Ministry of Culture of France in 2016. 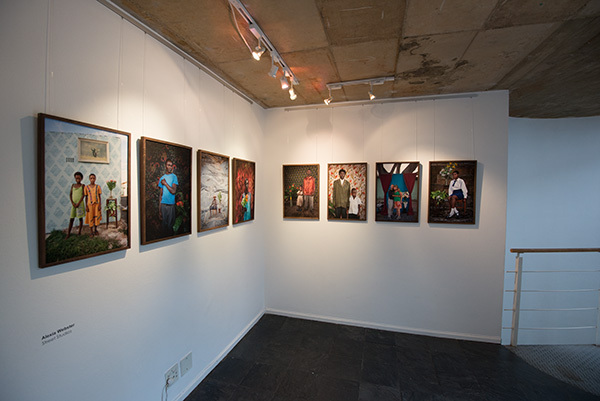 Part of Alexia Webster’s striking work displayed at the French Institute in May as part of the “Five Photographers: A tribute to David Goldblatt” exhibition. Not only was David a master at helping us to see, but he was also a master at passing that ability to see on to others. To pass this gift on he founded the Market Photo Workshop in Johannesburg in 1989. David spent time in the last months of his life focused on promoting the work of others. In Five Photographers: A tribute to David Goldblatt, presented at the French Institute in Johannesburg, John Fleetwood worked with David to curate the work of four young photographers whose work David admired – Alexia Webster,3 Jabulani Dhlamini, Mauro Vombe and Pierre Crocquet. Viewing their work it was clear that thoughtful documentary photography in the tradition of David Goldblatt is being carried forward in South Africa by the next generation. Hamba Kahle David Goldblatt! 1. Cited in “Defiant Images: Photography and Apartheid South Africa”, Darren Newbury, UNISA Press, 2009, p. 219. 2. According to Newbury, David was able to maintain this view partly due to his age as a senior photographer and partly due to his unquestionable commitment to stand against apartheid. 3. What was exciting for us at Africa Media Online is that Alexia is a graduate of our African Photo Entrepreneur Programme. Not from the Media world? We also service the Corporate and Heritage sectors. the african media entrepreneur © 2019 All Rights Reserved.